We go every month to the autism friendly screenings held at our local cinema. They have been run once a month for the last 3 years by Dimensions a disability charity. These sessions are designed to be inclusive. The screening environment is not too loud, its not as dark as usual showings and viewers are allowed to move around the cinema. We go every month, in fact due to the summer holidays we went last week too. Last eeek we saw The BFG and todays showing was Finding Dory. Dylan chose his snacks before we went and he excitedly sat to watch the movie. 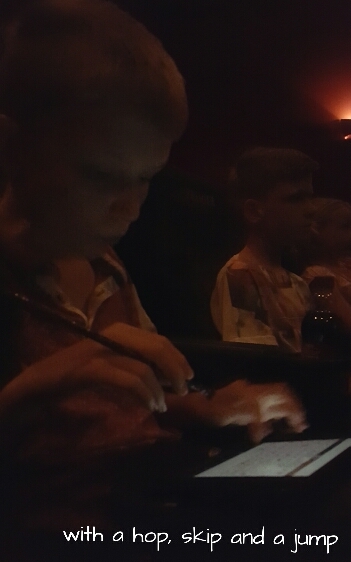 He always gets giggly at the cinema, I think its anxiety from the expectations of having to sit still and watch the film. This often settles with a bit of reassurance. Otherwise its been a restful day off. We didnt follow any time schedule, no clock watching and minimal expectation to use the Ipad unless he felt he needed to. I think I’m still reflecting after my exhausing attempts yesterday to solely use the Ipad to communicate so he had a day of less expectation and a bit more rest. Full on modelling will recommence tomorrow! I have. Looks like a very good idea. Expensive though! Have you used it? I just try it and like it. I like I can send message to someone not in the room. The one thing I don’t like is they can’t send me back a message. I think the person should be able send a picture or voice message back to say they got it. It’s not very much money here the same price as some music programs $15 and the first month is free. It is fast and easy to use. And easy to make new buttons.